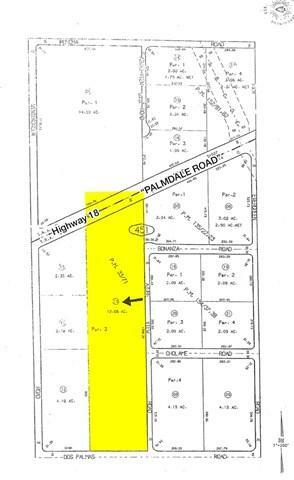 +- 12.06 Ac Residential Land. Zoned "Rl" Rural Living. Allows Planned Developments. Single-Family Subdivisions, Mobile Home Parks. 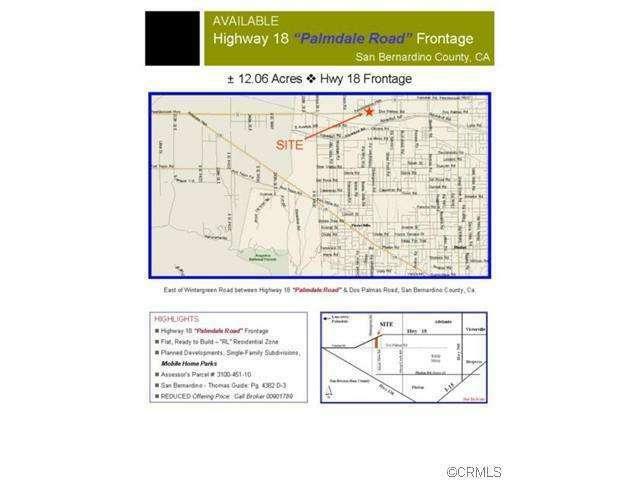 Highway 18 (Palmdale Road) Frontage. Owner Will Respond to All Offers! Complete Package Available. 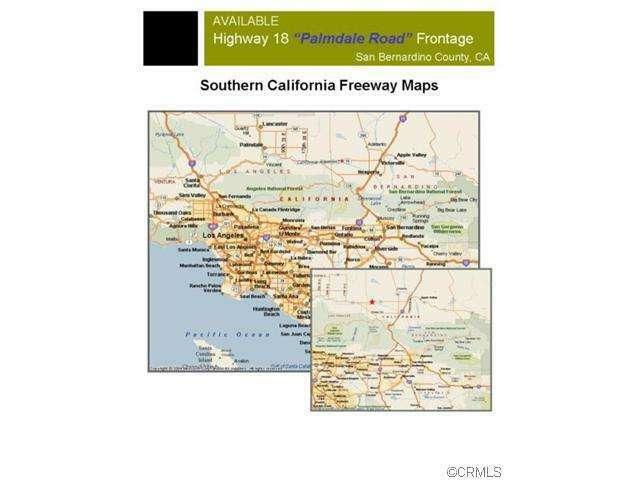 APN: 3100-451-10.Highway 18 (Palmdale Rd) East of Wintergreen Rd. 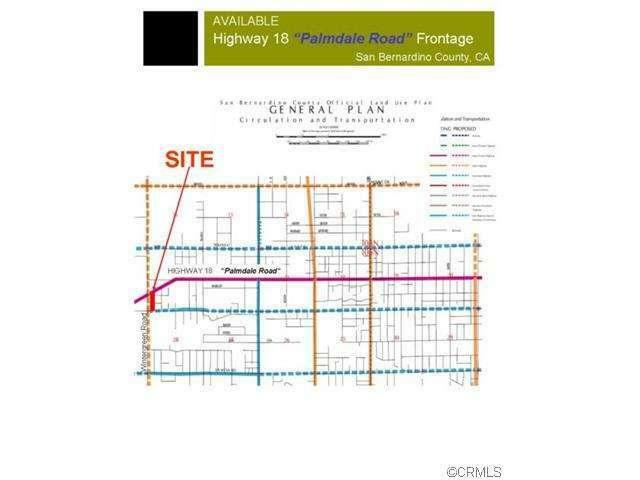 Unincorporated San Bernardino County. San Bernardino Thomas Guide Pg. 4382 D3.